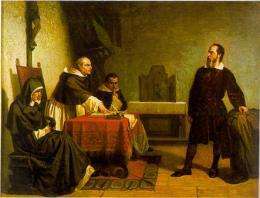 Galileo facing the Roman Inquisition. Painted by Cristiano Banti in 1857. 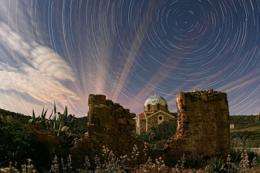 The Catholic Church and scientists have a history of clashing, but according to Vatican astronomers, some of the stories of Church persecution are distortions of the truth  more gossip than Gospel. One of the most famous examples of the clash between religion and science is the trial of Galileo Galilei. Galileo supported Copernicus view that the Earth orbited the Sun, a heliocentric theory which the Church declared contrary to Scripture. Galileo was warned to abandon his support for this theory and instead embrace the traditional geocentric notion that the Earth was an unmovable point around which the universe revolved. Instead, in 1632 Galileo published Dialogue Concerning the Two Chief World Systems. The book was structured as a conversation between Salviati, a heliocentric philosopher, Simplicio, a geocentric philosopher, and Sagredo, a neutral layman. Pope Urban VIII had actually given Galileo permission to write the book so long as he didnt promote one viewpoint over the other. However, Salviati forcefully argued Galileos beliefs, while Simplicio was often ridiculed as a fool. An often-repeated view about the furor which followed the publication of Galileos book is that the Pope was insulted by having his words expressed by Simplicio. Not only was the character made to look ridiculous, but the name itself likely was a double entendre for simple-minded (simplice in Italian). However, Vatican astronomer Brother Guy Consolmagno disputes this analysis. Still, the political fallout eventually led the Church to withdraw its permission to publish the book. Galileo faced a specially-convened panel of ten judges, who found him guilty of suspicion of heresy. By abjuring  saying that he never believed in the heliocentric point of view expressed in the book  Galileos sentence was reduced to house arrest. By 1992, Pope John Paul II issued a declaration acknowledging errors in Galileos trial. 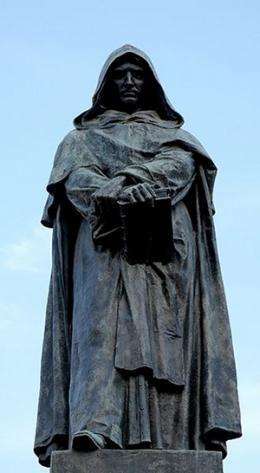 No such apologetic statement has been made for Giordano Bruno, whom the Church burned at the stake in 1600. Bruno not only supported the heliocentric view, he also claimed there are multiple worlds beyond Earth, each orbiting their own sun. The Vatican astronomers say Brunos death sentence was not due to him advancing these notions. Nicholas of Cusas book, On Learned Ignorance, in which he discussed the possibility of multiple worlds, was published in 1440. He also wrote that aliens could exist on the Moon and the Sun. He was made a Cardinal in 1448, so its quite obvious that it didnt damage his career, notes Consolmagnos colleague, Vatican astronomer Father Paul Pavel Gabor. Consolmagno says the most probable reason for the Churchs enmity was that Bruno denied the divinity of Christ, as well as some other fundamental doctrines of Christianity. I think the real problem with Bruno was he was accused of being an English spy, adds Gabor. He says that Bruno was imprisoned in various places throughout Europe before landing in jail in Venice, which then led to his death in Rome. Gabor says that the file on last 7 years of his trial is gone, because Napoleon looted the Vatican for paper. Everybody who keeps writing about it as if they knew what happened is actually just fantasizing, says Gabor. 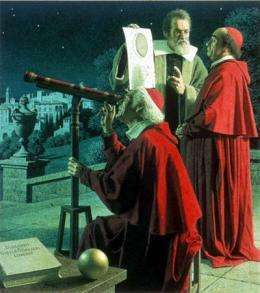 Galileo explaining lunar topography to two cardinals. Painting by Jean Leon Huens in 1857. 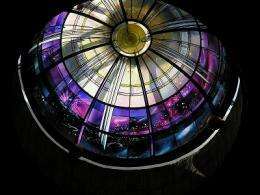 Both Consolmagno and Gabor stress that the idea of aliens and multiple worlds is not a new idea for the Church, and doesnt challenge or threaten the central beliefs of their religion. The Vatican even sponsored an astrobiology workshop in 2009. According to Consolmagno, the Church did so in order to create a forum for top scientists in the field to have a conversation. It was NOT the way it was reported on CNN, where the Catholic Church was worried about aliens, he says. They say there was no religious discussion during this workshop; instead the focus was purely on the science of astrobiology. The philosophical cross-over between religion and science was only discussed informally, during coffee breaks and other social gatherings. Philosophers have been grappling with the implications of alien life for hundreds of years, if not longer. But until aliens are found, says Consolmagno, these issues will remain in the realm of science fiction instead of religion or science. Someone explain to me why the church doesn't worry over the (possible) existance of other life forms on other worlds??!!?? For the same reasons that Average Joe doesn't worry about the possible existence of life forms on other worlds; we have yet to find conclusive evidence of it, or that it is hostile to us. How about the fact that it would in no way contradict the Bible, in which we see "angels" descend from heaven and ascend, and so on. It doesn't contradict the Bible. Moreover, the Bible even states that there are "beings" from "heaven" and mentions other "worlds"(See Hebrews 1:2 and 11:3). An entirely meaningless assertion, in relation to the question. The Sky is above us. So what? This monomania of yours is becoming a clinical obsession. You need meds -now! Huh. So god gives aliens special powers and sends them to earth to do his bidding? It would kind of look like aliens are a little closer to god than we are? Of course I suppose your 'interpretation' includes the idea that demons are also aliens, and they are somewhat less pleasing to god than we are. But they do seem to have powers which we do not, and we are routinely helpless to resist them; unless we are fortified with the Holy Force. But- perhaps these categories are not absolute. Perhaps god enlists outstanding humans, gives them wings, and sends them to aldebaran to recruit? Maybe? And fallen angels he sends to Mercury? -This is all speculation of course, like the tripe you come up with. Jeez and it looks like god will send aliens to destroy the earth- it's in revelations. 'Earth Destroyed by Holy Alien Invaders'. Perhaps if we fight back, we can win Armageddon! All right! I'm not so depressed anymore. Who would win- a Horseman with 20 heads or Wil smith in a Hornet? Or a JSF? If alien angels come here, personally I'm gonna PUKE in their FACE. Goddam right. 1) How many guns do you own? 2) When was your last mental health checkup? Please, make fools of us all, and go get checked out by a professional. If you're cleared you can come back here and laugh at all of us. Until then, my new nickname for you is Jared Loughner Jr. Does apologetic whitewash fit the article? GG was actually given permission to pursue his Copernican beliefs by Urban - providing he kept it philosophical. Urban spat the chewy when under siege by anti-Catholic Christians, he was forced to reign in his old pal. Dtxx i have a guestion. were you talking about me or quantum condrem on who is crazy? So god gives aliens special powers and sends them to earth to do his bidding? It would kind of look like aliens are a little closer to god than we are? And what's to say what we call "God" isn't just another alien? Maybe a prime alien being that commands the other aliens? And what's to say they're aliens at all? Maybe they started out here on Earth before we did? Perhaps we are a species that was developed as a scientific test and the aliens are the scientists conducting said experiment, and this God person is their boss? The point I'm trying to make is there's way too much that we just don't know, and can't find out, either by our ignorance and lack of skills/knowledge/technology, or by design... In other words, we don't know much of anything. We have ideas. Ideas that have caused wars and general stupidity, and will either bless or doom us depending on what we do with them, or to each other on their behalf. It would be silly to kill someone for belief in life on other worlds. What we have to understand is that they only murdered Bruno for his failure to believe in their imaginary Jewish carpenter -- that's what makes it all ok.
What do you mean imaginary? My jesus conversation chair is still in pristine condition. Messiah and savior...pfft whatever...skilled craftsmen, yes indeed.